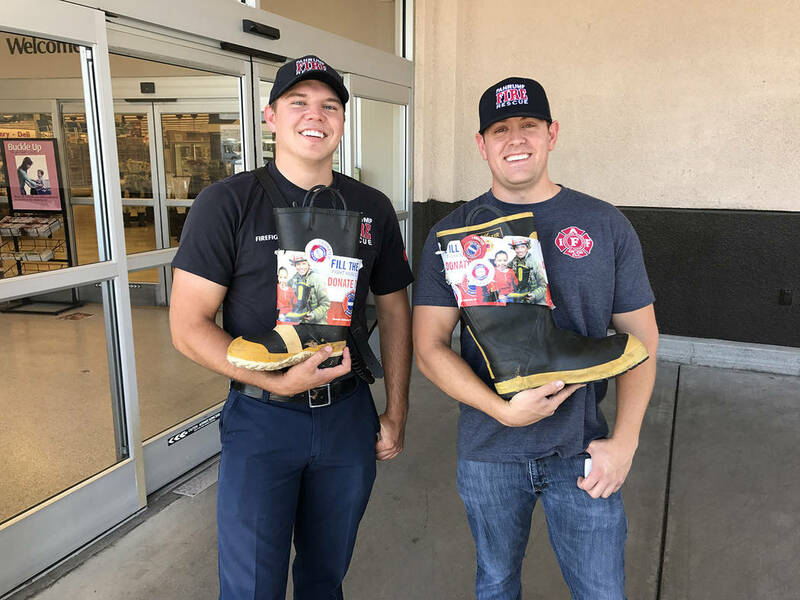 Pahrump Valley Fire and Rescue Services Firefighter/AEMT Kasen Hughes, left, and Firefighter/AEMT Jordan Williams, right, are posted in front of Pahrump’s Albertsons grocery store for the 18th annual Fill The Boot Drive. Both men, along with additional firefighters, collected donations for the Muscular Dystrophy Association this month. Pahrump Valley Firefighters IAFF Local 4068 raised $6,840, doubling last year’s total. For their efforts, Pahrump fire crews are now contenders for the Southern Nevada MDA Golden Boot Award.